Doing what cats do best - curled up and sleeping. 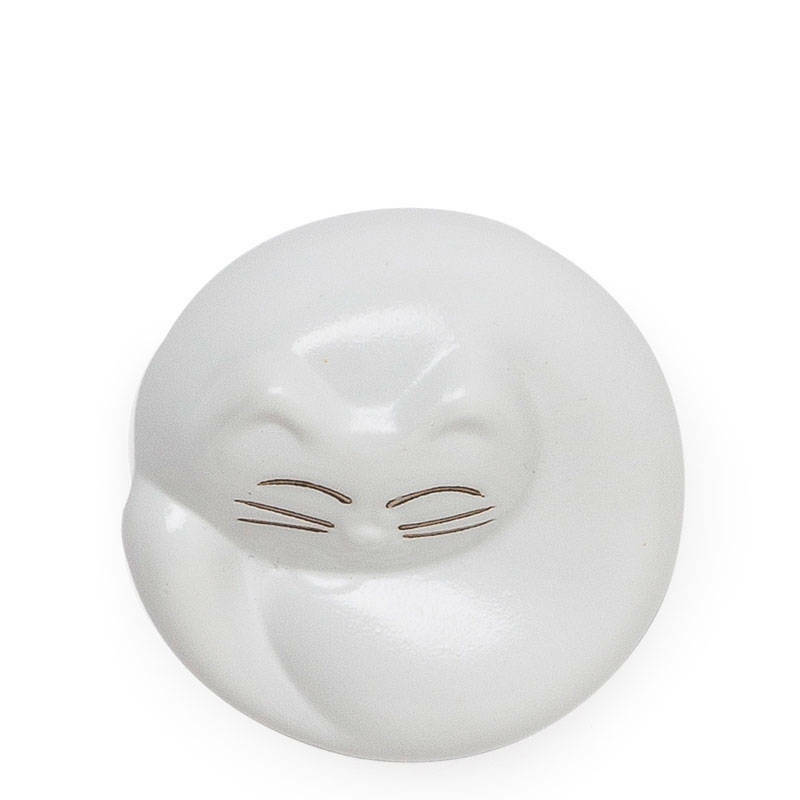 This state of rest is adorably captured in a chopstick rest. Use for your next dinner party or just as decoration.